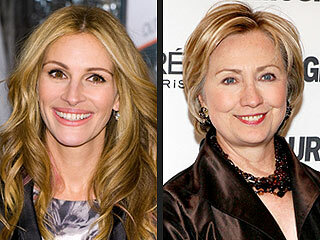 Julia Roberts has joined Secretary Clinton’s Alliance for Clean Cookstoves as a Global Ambassador. The two penned an op-ed for USAToday on the need for clean cookstoves in the developing world in honor of Mother’s Day. This Mother’s Day weekend, most of us will enjoy a home-cooked meal — maybe even breakfast in bed. We’ll probably take it for granted that the meal was prepared in a clean kitchen, where the air is safe to breathe. But for nearly half of the world’s population, cooking at home is a deeply dangerous act. In fact, it poses one of the most serious health risks in the developing world, and it’s a major threat to the environment. The reason? Smoke from dirty stoves or open flames. Some 3 billion people live in homes where food is cooked on stoves or over fires burning fuels like wood, dung, charcoal, or agricultural waste. These fuels produce toxic fumes, and in poorly ventilated homes, the mix of chemicals can reach 200 times the level that the EPA considers safe to breathe. It can cause lung cancer, pneumonia, cataracts, low birth weight, even death. According to the World Health Organization, smoke from dirty stoves and fires kills almost 2 million people each year, most of them women and children. It kills more than twice as many people as malaria.